Last week was our first work social event of the year and I'd organised a trip to the National Museum for one of their famous "lates" parties. I wrote a post last year about the Dino Night party I went to (where I talked about being chased by a "real life" dinosaur), and this time the theme was "Night of the Mammoths" so it was all about the ice age with people walking around in mammoth masks (that you could make at a craft station) and cave-girls doing flash mob dances to Ice Ice Baby. Fun fun fun! 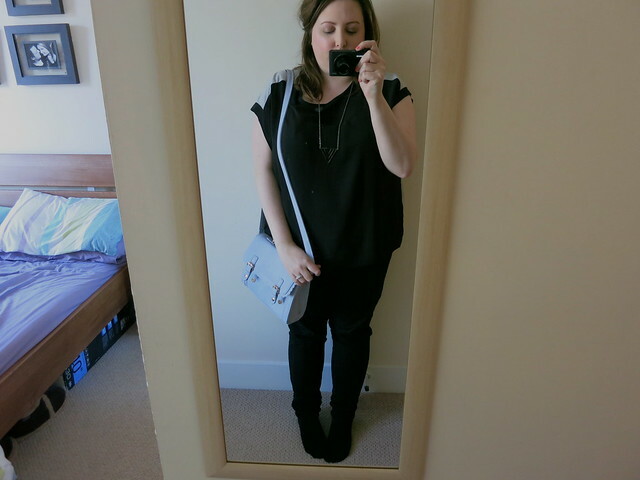 This is the outfit I wore, although to be honest the pictures were taken the next day when the lighting was better - my hair wasn't as messy as this on the night! 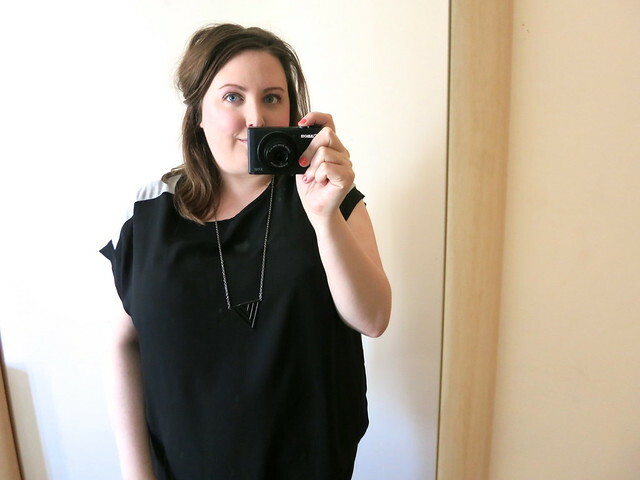 The top is from New Look and I've been wearing this a lot recently to work as it's really comfy and strikes a nice balance between smart and casual. You can't really tell from the photos but the back is grey cotton (you can see it on the shoulders), with the front being a black mesh type material (I'm wearing a black vest underneath). The jeans are my trusty Dorothy Perkins jeggings (if you'd told me a year ago that I'd be wearing JEGGINGS on a weekly basis I'd have laughed in your face, but I love them) and I forgot to put them on for the photo, but I wore a pair of brown ankle boots on the night. 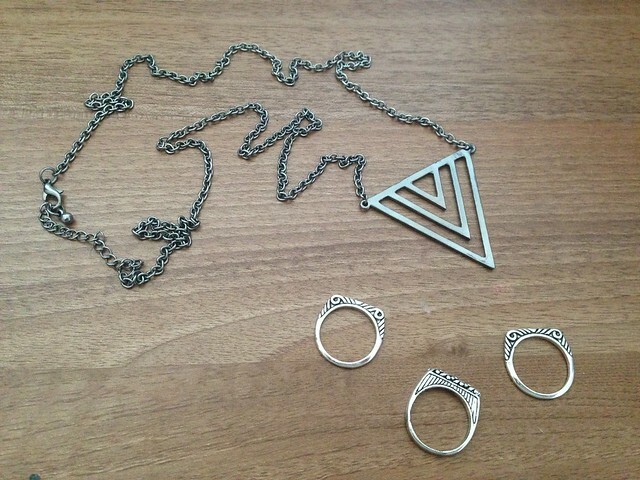 My jewellery is from a website called Rings & Tings (hehe) who kindly sent me some pieces to review. When I got the email from them I was pretty much sold right away purely by their brand name…Rings & Tings….Rings….and…..Tings…..RINGS AND TINGS!! I'm a sucker for an amusing brand name. 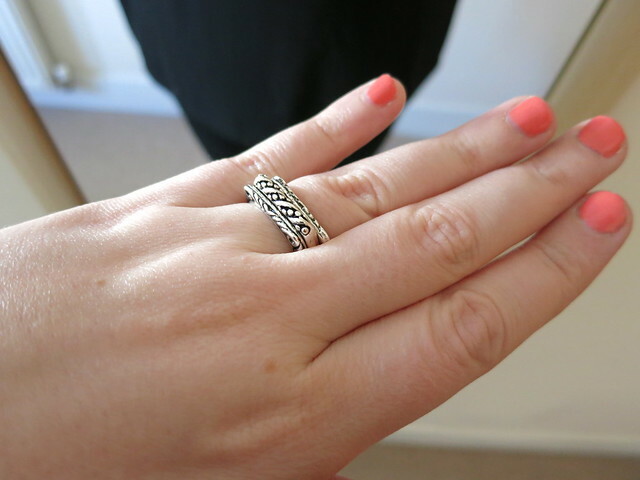 Anyway, it turns out they have a ton of great jewellery on their site, it's like a magpies dream - everything is really well priced too so I'd definitely recommend having a wee browse. I also got this cute cat ring which I'm sure will turn up in another OOTD soon, and I've got my eye on this victorian floral necklace and this black tube bracelet. Ah soooo many "tings"! 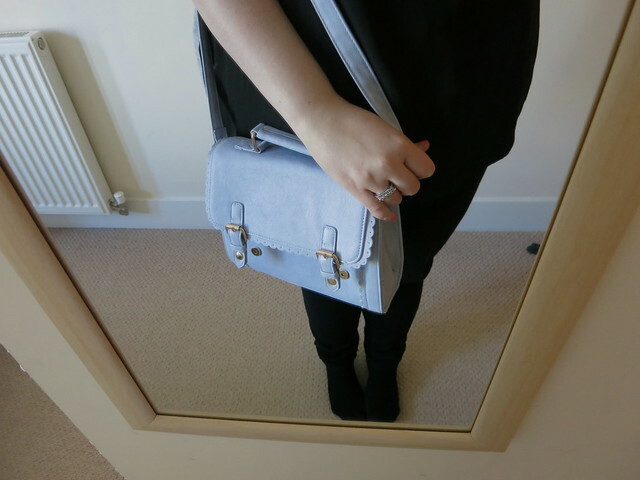 Finally the icing on the cake of this outfit is this BEAUT of a handbag. 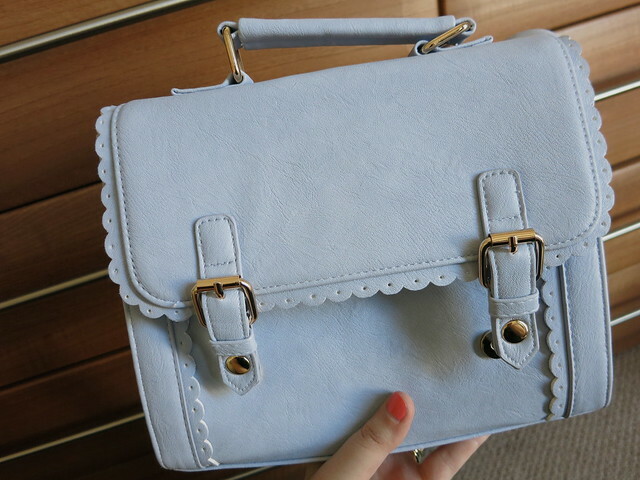 I bought this mini satchel from ASOS last week and if you follow me on Instagram you'll have noticed my blundering error in that I accidentally put 2 of them in my basket - oops! 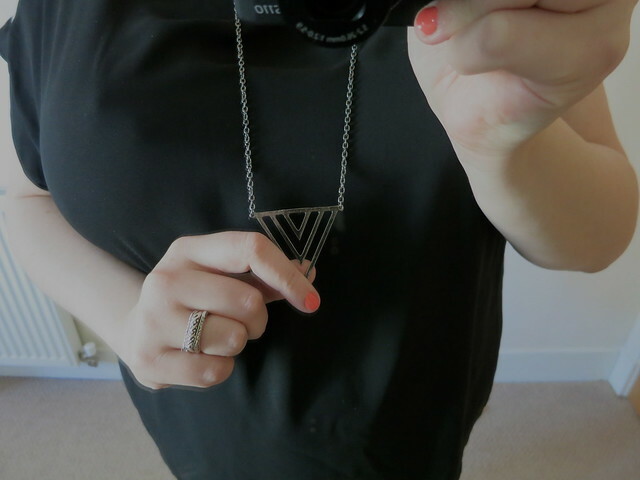 Isn't it pretty though?? The pastel blue/lilac colour is perfect for spring, and I can't wait to take it away with me this weekend on my sightseeing travels! On that note, I'll be a bit quiet on here for the next week or so as I'm off to Copenhagen on Friday for a wee pre-birthday holiday. At the moment I'm busy outfit and itinerary planning so the next you'll hear from me will probably be a holiday blog next week (I'll be sure to take lots of photos!). See you when I'm 29 (wahhhhh! ).